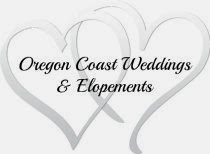 When creating new breakfast dishes for our Oregon Coast Bed & Breakfast, Sandlake Country Inn, the dishes need to be not only special and delicious, but also easy and quick to prepare. 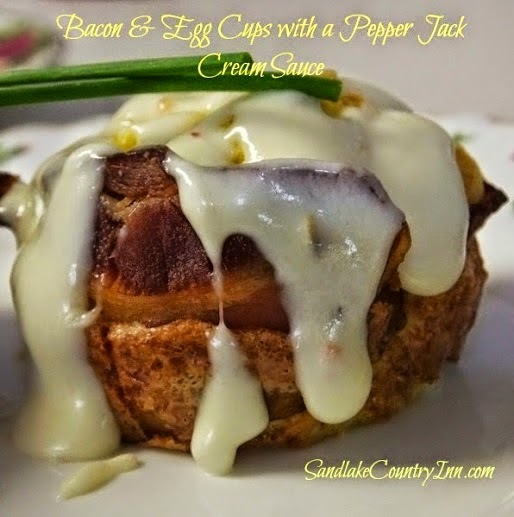 These bacon and Egg Cups certainly are delicious and easy! We serve these with fresh fruit, homestyle fried potatoes and a delicious pastry or homemade muffin. It's a wonderful breakfast in bed or easy enough to make for a crowd. The following recipe is for 2 people, but easily doubled, tripled or quadrupled, etc. In a bowl, crack the eggs and whisk with salt & pepper. Using a regular sized muffin tin, spray 4 muffin cups with Pam. Wrap bacon around inside of cups. Fill cups with egg mixture. Place in oven and bake for approx. 20 minutes. Eggs will puff high and collapse after a few minutes cooling. While egg cups are cooking, place heavy cream in a small pan and heat on medium. Once cream is hot, stir in pepper jack cheese and continue to cook until cheese is melted and cream mixture thickens. 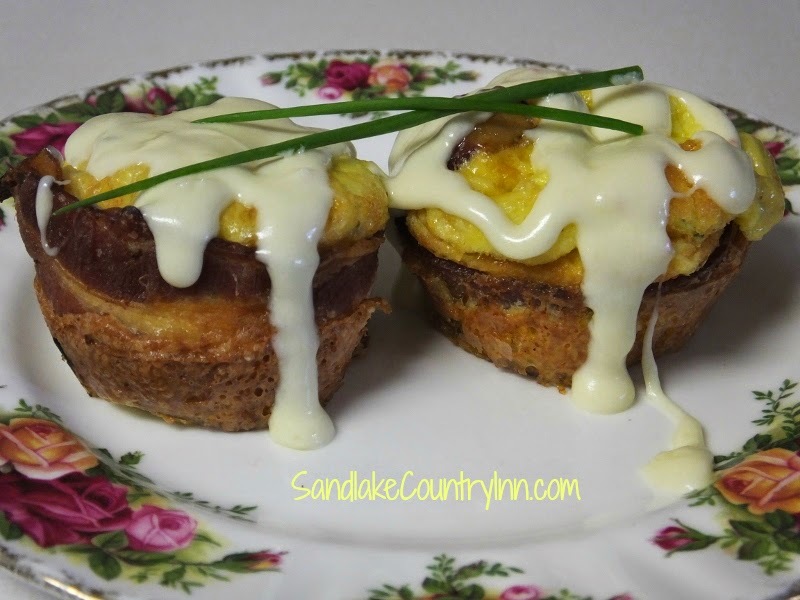 Carefully take bacon & egg cups out of muffin tin and serve 2 per person. Drizzle pepper jack cream sauce over top.